Li, Y., Li, Y., Liu, Y., Wu, Y., Xie, Q. (2018) The sHSP22 heat shock protein requires the ABI1 protein phosphatase to modulate polar auxin transport and downstream responses. Plant Physiol. 176 (3):2406-2425. Chen, H., Ma, B., Zhou, Y., He, S., Tang, S., Lu, X., Xie, Q., Chen, S., Zhang, J. (2018) E3 ubiquitin ligase SOR1 regulates ethylene response in rice root by modulating stability of Aux/IAA protein. Proc Natl Acad Sci U S A. 115(17):4513-4518. Yu, F., Xie, Q. (2017) Non-26S Proteasome Endomembrane Trafficking Pathways in ABA Signaling. Trends Plant Sci. 22(11):976-985. Zhao, L., Li, Y., Xie, Q., Wu, Y. (2017) Loss of CDKC; 2 increases both cell division and drought tolerance in Arabidopsis thaliana. Plant J. 91(5):816-828. Chen, Q., Liu, R., Wang, Q., Xie, Q. (2017) ERAD Tuning of the HRD1 Complex Component AtOS9 Is Modulated by an ER-Bound E2, UBC32. Mol Plant. 10(6):891-894. Yu, F., Lou L., Tian, M., Li, Q., Ding, Y., Cao, X., Wu, Y., Belda-Palazon, B., Rodriguez, P., Yang, S. and Xie, Q. (2016) ESCRT-I component VPS23A affects ABA signaling by recognizing ABA receptors for endosomal degradation. Mol. Plant. 9: 570–1582. Shu, K., Liu, X., Xie, Q. and He, Z. (2016) Two Faces of One Seed: Hormonal Regulation of Dormancy and Germination. Mol. Plant. 9:34-45. Shu, K., Chen, Q., Wu, Y., Liu, R., Zhang, H., Wang, P., Li, Y., Wang, S., Tang, S., Liu, C., Yang, W., Cao, X., Serino, G. and Xie, Q. (2016) ABI4 mediates antagonistic effects of abscisic acid and gibberellins at transcript and protein levels. Plant J. 85:348-361. Yu, F., Wu, Y. and Xie, Q. (2016) Ubiquitin-Proteasome System in ABA Signaling: From Perception to Action. Mol. Plant 9(1):21-33. Yu, F., Wu, Y. and Xie, Q. (2015) Precise protein post-translational modifications modulate ABI5 activity. Trends Plant Sci. 20(9): 569-575. Zhang, H., Wu, Y., Lou, L., Tian, M., Ning, Y., Shu, K. and Xie, Q. (2015) The RING finger ubiquitin E3 ligase SDIR1 targets SDIR1-INTERACTING PROTEIN1 for degradation to modulate the salt stress response and ABA signaling in Arabidopsis. Plant Cell 27: 214-27. Ding, Y., Li, H., Zhang, X., Xie, Q., Gong, Z. and Yang, S. (2015) OST1 kinase modulates freezing tolerance by enhancing ICE1 stability in Arabidopsis. Dev. Cell. 32: 278-89. Shu, K., Zhang, H., Wang, S., Chen, M., Wu, Y., Tang, S., Liu, C., Feng, Y., Cao, X. and Xie, Q. (2013) ABI4 Regulates Primary Seed Dormancy by Regulating the Biogenesis of Abscisic Acid and Gibberellins in Arabidopsis. PLoS Genet. 9: e1003577. Zhao, Q., Tian, M., Li, Q., Cui, F., Liu, L., Yin, B. and Xie, Q. (2013) A plant-specific in vitro ubiquitination analysis system. Plant J. 74: 524-533. Hu, X., Qian, Q., Xu, T., Zhang, Y., Dong, G., Gao, T., Xie, Q. and Xue, Y. (2013) The U-box E3 ubiquitin ligase TUD1 functions with a heterotrimeric G α subunit to regulate Brassinosteroid-mediated growth in rice. PLoS Genet.9: e1003391. Liu, Z., Wu, Y., Yang, F., Zhang, Y., Chen, S., Xie, Q., Tian X and Zhou JM. (2013) BIK1 interacts with PEPRs to mediate ethylene-induced immunity. Proc. Natl. Acad. Sci. USA 110: 6205-6210. Yan, J., Li, H., Li, S., Yao, R., Deng, H., Xie, Q. and Xie, D. (2013) The Arabidopsis F-box protein CORONATINE INSENSITIVE1 is stabilized by SCFCOI1 and degraded via the 26S proteasome pathway. Plant Cell 25: 486-498. Wu, H., Zhang, Z., Wang, J., Oh, D., Dassanayake, M., Liu, B., Huang, Q., Sun, H., Xia, R., Wu, Y., … Chu, C., Chen, S., Bohnert, H., Zhu, J., Wang, X. and Xie, Q. (2012) Insights into salt tolerance from the genome ofThellungiella salsuginea. Proc. Natl. Acad. Sci. USA 24:12219-12224. Cui, F., Liu, L., Zhao, Q., Zhang, Z., Li, Q., Lin, B., Wu, Y., Tang, S. and Xie, Q. (2012) Arabidopsis ubiquitin conjugase UBC32 is an ERAD component that functions in brassinosteroid-mediated salt stress tolerance. Plant Cell 24:233-244. Zhang, Z., Chen, H., Huang, X., Xia, R., Zhao, Q., Lai, J. Teng, K., Li, Y., Liang, L., Du, Q., Zhou, X., Guo, H. and Xie, Q. (2011) BSCTV C2 Attenuates the Degradation of SAMDC1 to Suppress DNA Methylation-Mediated Gene Silencing in Arabidopsis. Plant Cell 23: 273-288. Liu, L., Cui, F. Li, Q., Yin, B., Zhang, H., Lin, B., Wu, Y., Xia, R., Tang, S. and Xie, Q. (2011) The endoplasmic reticulum-associated degradation is necessary for plant salt tolerance. Cell Res. 21:957-969. Ning, Y., Jantasuriyarat, C., Zhao, Q., Zhang, H., Chen, S., Liu, J., Liu, L., Tang, S., Park, C., Wang, X., Liu, X., Dai, L., Xie, Q. and Wang, G. (2011) The SINA E3 Ligase OsDIS1 Negatively Regulates Drought Response in Rice. Plant Physiol. 157:242-255. Liu, Y., Wu, Y., Huang, X., Sun, J. and Xie, Q. (2011) AtPUB19, a U-Box E3 Ubiquitin Ligase, Negatively Regulates Abscisic Acid and Drought Responses in Arabidopsis thaliana. Mol. Plant 4: 938-946. Cui, Y., Li, X., Chen Q., He, X., Yang, Q., Zhang, A., Yu, X., Chen, H., Liu, N., Xie, Q., Yang, W., Zuo J., Palme, K. and Li, W. (2010) BLOS1, a putative BLOC-1 subunit, interacts with SNX1 and modulates root growth in Arabidopsis. Journal of Cell Science 123:3727-3733. Luo, X., Lin, W., Zhu, S., Zhu, J., Sun, Y., Fan, X., Cheng, M., Hao, Y., Oh, E., Tian, M., Liu, L., Zhang, M., Xie, Q., Chong, K. and Wang, Z. (2010) Integration of Light- and Brassinosteroid-Signaling Pathways by a GATA Transcription Factor in Arabidopsis. Developmental Cell 19: 872-883. Chen, H., Zhang, Z., Teng, K., Lai, J., Zhang, Y., Huang, Y., Li, Y., Liang, L., Wang, Y. , Chu, C., Guo, H. and Xie, Q. (2010) Up-regulation of LSB1/GDU3 impacts geminivirus infection by activating the salicylic acid pathway. Plant J. 62: 12-23. Liu, L., Zhang, Y., Tang, S., Zhao, Q., Zhang, Z., Zhang, H., Dong, L., Guo, H. and Xie, Q. (2010) An efficient system to detect protein ubiquitination by agroinfiltration in Nicotiana benthamiana. Plant J. 61: 893-903. Bu, Q., Li, H., Zhao, Q., Jiang, H., Zhai, Q., Zhang, J., Wu, X., Sun, J., Xie, Q., Wang, D. and Li, C. (2009) The Arabidopsis RING finger E3 ligase RHA2a is a novel positive regulator of abscisic acid signaling during seed germination and early seedling development. Plant Physiol. 150: 463-481. 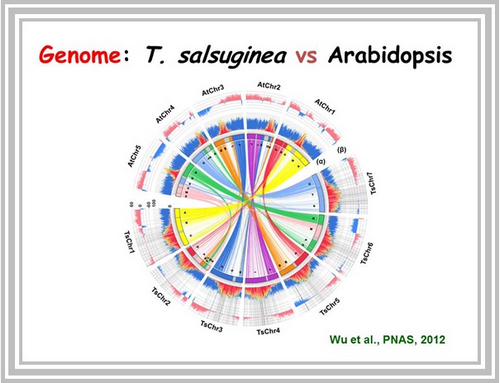 Huang, L., Yang, S., Zhang, S., Liu, M., Lai, J., Qi, Y., Shi, S., Wang, J., Wang, Y., Xie, Q. and Yang, C. (2009) The Arabidopsis SUMO E3 ligase AtMMS21, a homologue of NSE2/MMS21, regulates cell proliferation in the root. Plant J. 60:666-678. Lai, J., Chen, H., Teng, K., Zhao, Q., Zhang, Z., Li, Y., Liang, L., Xia, R., Wu, Y., Guo, H. and Xie, Q. (2009) RKP, a RING finger E3 ligase induced by BSCTV C4 protein, affects geminivirus infection by regulation of the plant cell cycle. Plant J. 57: 905-917. Yu, J., Rubio, V., Lee, N., Bai, S., Lee, S., Kim, S., Liu, L., Zhang, Y., Irigoyen, M., Sullivan, J., Zhang, Y., Lee, I., Xie, Q., Paek, N. and Deng, X. (2008) COP1 and ELF3 control circadian function and photoperiodic flowering by regulating GI stability. Mol. Cell 32: 617-630. Liu, J., Zhang, Y., Qin, G., Tsuge, T., Sakaguchi, N., Luo, G., Sun, K., Shi, D., Aki, S., Zheng, N., Aoyama, T., Oka, A., Yang, W., Umeda, M., Xie, Q., Gu, H. and Qu, L.J. (2008) Targeted degradation of the cyclin-dependent kinase inhibitor ICK4/KRP6 by RING-type E3 ligases is essential for mitotic cell cycle progression during Arabidopsis gametogenesis. Plant Cell 20:1538-1554. Du, Q., Duan, C., Zhang, Z., Fang, Y., Fang, R., Xie, Q. and Guo, H. (2007) DCL4 targets Cucumber mosaic virus satellite RNA at novel secondary structures. Journal of Virology. 81:9142-9151. Zhang, Y., Yang, C., Li, Y., Zheng, N., Chen, H., Zhao, Q., Gao, T., Guo, H. and Xie, Q. (2007) SDIR1 Is a RING Finger E3 Ligase That Positively Regulates Stress-Responsive Abscisic Acid Signaling in Arabidopsis. Plant Cell 19: 1912-1929. Chu, Z., Chen, H., Zhang, Y., Zhang, Z., Zheng, N., Yin, B., Yan, H., Zhu, L., Zhao, X., Yuan, M., Zhang, X. and Xie, Q. (2007) Knockout of the AtCESA2 gene affects microtubule orientation and causes abnormal cell expansion in Arabidopsis. Plant Physiol. 143: 213-224. Zou, J., Zhang, S., Zhang, W., Li, G., Chen, Z., Zhai, W., Zhao, X., Pan, X., Xie, Q. and Zhu, L. (2006) The rice HIGH-TILLERING DWARF1 encoding an ortholog of Arabidopsis MAX3 is required for negative regulation of the outgrowth of axillary buds. Plant J. 48: 687-698. Desvoyes, B., Ramirez-Parra, E., Xie, Q., Chua, N. and Gutierrez, C. (2006) Cell type-specific role of the retinoblastoma/E2F pathway during Arabidopsis leaf development. Plant Physiol. 140: 67-80. Dong, C., Agarwal, M., Zhang, Y., Xie, Q. and Zhu, J. (2006) The negative regulator of plant cold responses, HOS1, is a RING E3 ligase that mediates the ubiquitination and degradation of ICE1. Proc. Natl. Acad. Sci. USA103: 8281-8286. Guo, H., Xie, Q., Fei, J. and Chua, N. (2005) MicroRNA directs mRNA cleavage of the transcription factor NAC1 to downregulate auxin signals for arabidopsis lateral root development. Plant Cell 17:1376-1386. Zeng, L., Qu, S., Bordeos, A., Yang, C., Baraoidan, M., Yan, H., Xie, Q., Nahm, B., Leung, H. and Wang, G. (2004) Spotted leaf11, a negative regulator of plant cell death and defense, encodes a U-box/armadillo repeat protein endowed with E3 ubiquitin ligase activity. Plant Cell 16:2795-2808. Guo, H., Fei, J., Xie, Q. and Chua, N. (2003) A chemical-regulated inducible RNAi system in plants. Plant J. 34: 383-392. Hu, Y., Xie, Q. and Chua, N. (2003) The Arabidopsis auxin-inducible gene ARGOS controls lateral organ size. Plant Cell 15: 1951-1961. Xie, Q., Frugis, G., Colgan, D. and Chua, N. (2000) Arabidopsis NAC1 transduces auxin signal downstream of TIR1 to promote lateral root development. Genes Dev. 14:3024-3036. Xie, Q., Sanz-Burgos, A.P., Guo, H., Garcia, J. and Gutierrez, C. (1999) GRAB proteins, novel members of the NAC domain family, isolated by their interaction with a geminivirus protein. Plant Mol. Biol. 39: 647-656. Ramirez-Parra, E., Xie, Q., Boniotti, M. and Gutierrez, C. (1999) The cloning of plant E2F, a retinoblastoma-binding protein, reveals unique and conserved features with animal G(1)/S regulators. Nucleic Acids Res. 27: 3527-3533. Xie, Q., Sanz-Burgos, A., Hannon, G. and Gutierrez, C. (1996) Plant cells contain a novel member of the retinoblastoma family of growth regulatory proteins. EMBO J. 15: 4900-4908. Xie, Q., Suarez-Lopez, P. and Gutierrez, C. (1995) Identification and analysis of a retinoblastoma binding motif in the replication protein of a plant DNA virus: requirement for efficient viral DNA replication. EMBO J. 14: 4073-4082. Chen, Q., Yang, X., and Xie, Q. Approaches to determine protein ubiquitylation residue types. Methods Mol Biol., (2016) Humana Press, 3-10. Wu, Y., Yu, F. and Xie, Q. Protein Ubiquitination and Sumoylation in ABA Signaling. Abscisic Acid: Metabolism, Transport and Signaling. Zhang D. (2014) p177-190. Liu, L., Zhao, Q. and Xie, Q. In Vivo Ubiquitination Assay by Agroinfiltration. Plant Signalling Networks: Methods and Protocols. Wang Z.Y. and Yang Z.B. (Ed. ), (2012) Humana Press, 153-162. Zhao, Q., Liu, L. and Xie, Q. 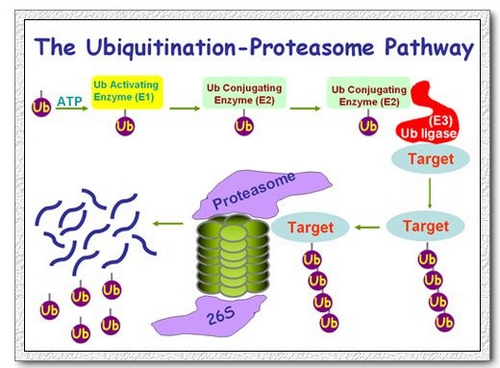 In Vitro Protein Ubiquitination Assay. Plant Signalling Networks: Methods and Protocols. Wang Z.Y. and Yang Z.B. (Ed. ), (2012) Humana Press, 163-172. Zhang, H., Li, G., Zhang, Y., Xia, R., Wang, J. and Xie, Q. 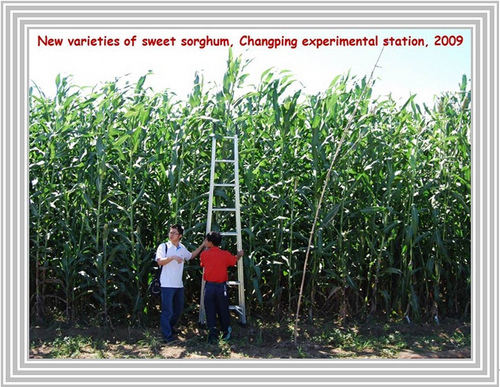 An Efficient Method to Screen for Salt Tolerance Genes in Salt cress. Plants and Environment. Hemanth K.N. Vasanthaiah and Devaiah Kambiranda (Ed. ), (2011) INTECH Press, 242-247.